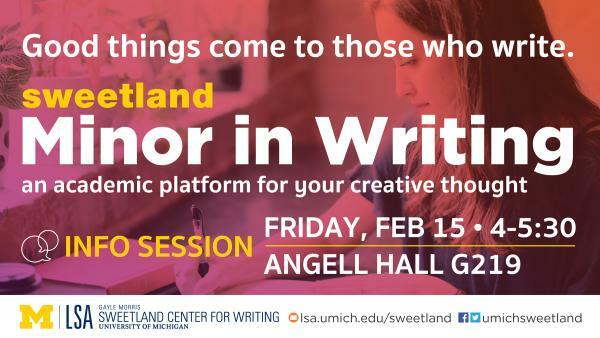 If you are interested in learning more about the Sweetland Minor in Writing from current students and faculty you can attend our informal Minor in Writing Information Session on Friday, February 15th from 4-5:30pm at Sweetland's Peer Writing Center in Angell Hall G219. Food and refreshments provided. The deadline to apply for Fall 2019 is Monday, March 18th at noon.